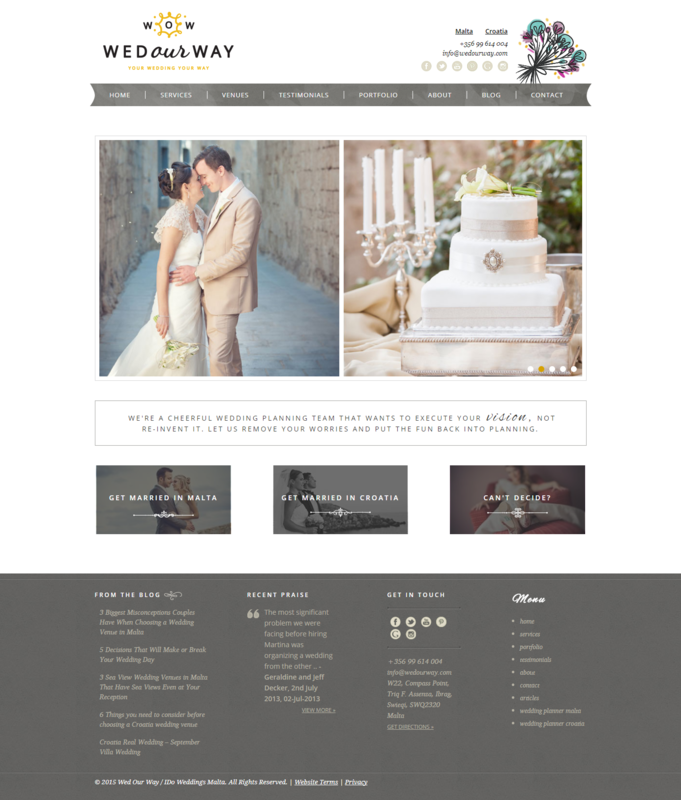 The client needed a website that ranked high on the search engines to attract international couples seeking wedding consultants. Furthermore, the site had to be extremely professional and informative to gain the couples’ trust, as the company’s services usually needed to be booked and paid for prior to any in-person meetings. Susan Greene, website copywriter and search engine optimization (SEO) specialist, worked closely with the business owner to evaluate the competition and develop a strategy for creating an effective website. 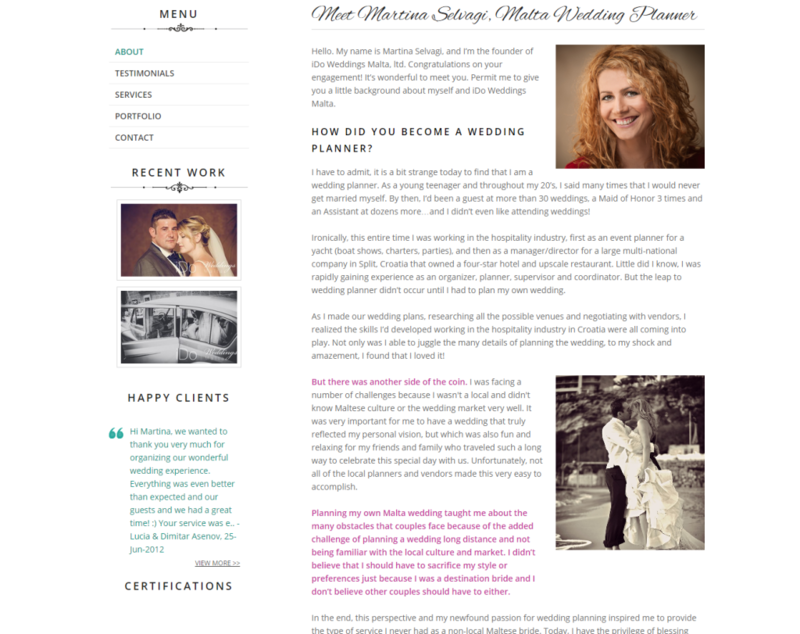 She spent hours learning about the business to be able to write the site’s many pages and other marketing materials such as a Malta wedding planning guide. The website was launched and soon climbed to the top of Google for its main keywords. Within a few weeks, the new company had its first clients and has been doing well ever since. At various times Susan has been called upon to write additional copy for the website as the company has expanded its services. This copy makes so much difference to my website! You are just wonderful! Reading this I want to hire myself! If I only had your skills to tell you, using the right words, how happy I am with this copy! I can't stop reading it over and over again. I especially like the FAQ questions. You covered all the different sections. I am thinking of using some of these questions and answers in my sales proposals. I don't know how to thank you. I definitely want to continue our cooperation in the future. This copy makes so much difference to my website! I don't want to change anything. I already sent my IT person the copy to make sure he agrees with everything, but I will make him agree. :) It really sounds great! Does your company need content for its website?